This entry was posted in England, Travel and tagged Cornwall, St Ives. Bookmark the permalink. They are neat, did you buy one? I didn’t but I should have – they would make great souvenirs! Agreed. Can you read my comments? Word press is REALLY bad tonight? I love old boxes like that, built to last. They had a lot of character – I really liked them! Love those boxes! Wish I had some for my home decor. They’d be great for growing herbs in, like the one at the top with the plant pots in it. The interplay of shades of brown is soft and soothing. Usually we go for the big blues and greens and other bright colours in our travel shots, but this one is appealing in its own way. I thought that box was so pretty with the display of plants. It was such a good idea to show how versatile the boxes would be if you decided to buy them! Thanks, this was a fun challenge! You don’t see boxes like that very often in North America anymore. Quite a nice find. I thought these boxes were really unique and I’m so happy that I found them! I do too – they make a wonderful display! Wonderful old boxes. So many ways to use them too. Great pictures! It would be a fun challenge deciding where to put these boxes! I’d love to have those wonderful old boxes. They make such an interesting garden statement. Brown is a wonderfully natural, earthy color. Sometimes we don’t give it the due it deserves! Good job! Love the boxes with all the names printed on the sides…the faded lettering on the wood. Very lovely and aged…just like Cornwall wouldn’t you say? Thank you – they made quite a unique display! 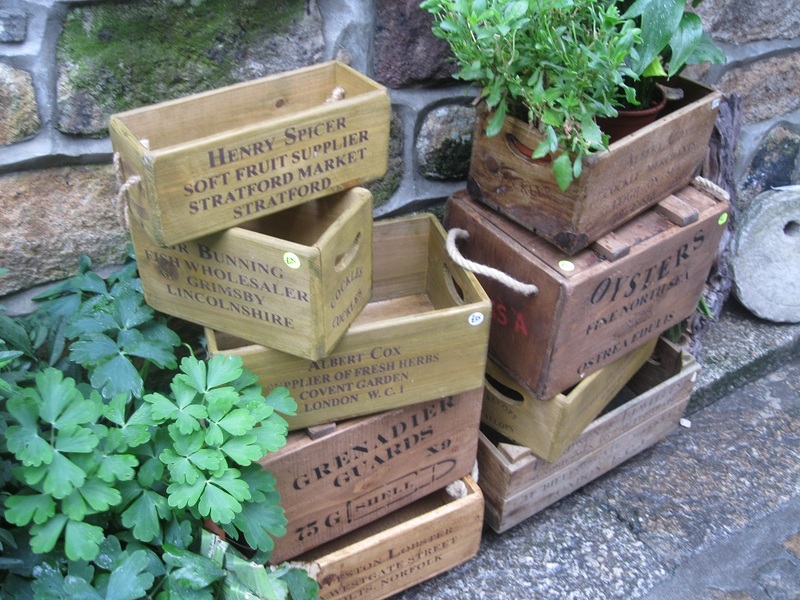 I love these wooden boxes with their rope handles, I wish I had a few to pop some plants in. 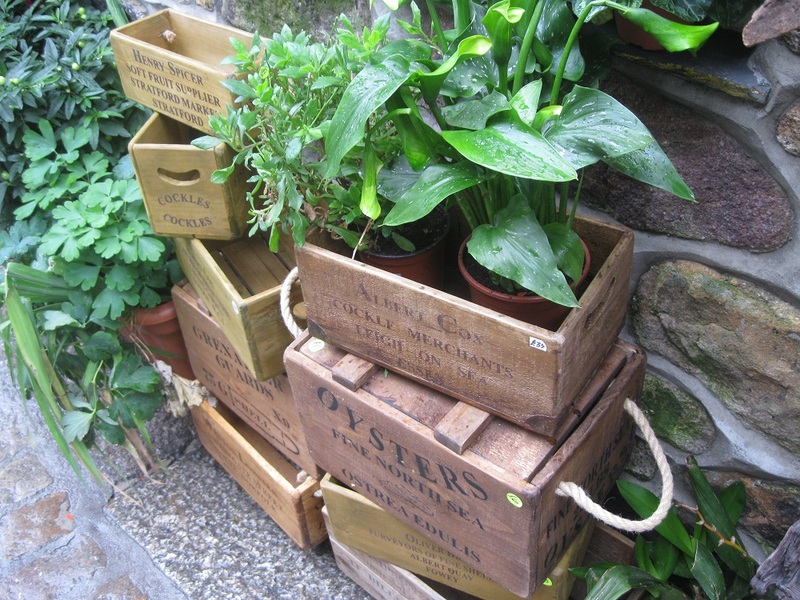 I liked that the plants were placed in the boxes – it really showed their versatility!